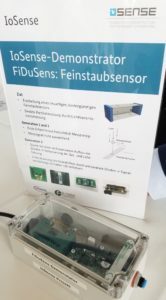 IoSense partner FOEDISCH is working together with Infineon Technologies Dresden on FiDuSens – a demonstrator for a fine dust sensor for continuous measurement and control of fine dust contents in urban environments. It is part of the Smart Health domain with various potential applications, such as air management system, air quality system, ambient monitoring and workplace monitoring. The goal in IoSense is to present a demonstrator for an innovative dust sensor on chip level. 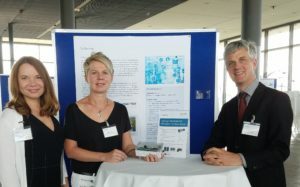 During the congress “ECSEL in Germany”, September 5-6 in Dresden, FOEDISCH presented the latest set-up. Now, with the 3rd generation of FiDuSens, measurement results could be improved by >10 factor compared to the 1st and 2nd. However, further improvements, measurements and testing loops will be necessary during the final project year.